I am glad you stopped by. I have had a busy week and no crafting days. 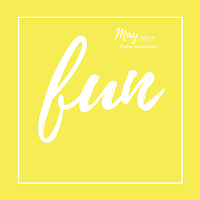 But today, I had to do something and I visited few blogs to get some inspiration. Mother's day is over, but I just wish if I could hug my mother anytime I wanted. My son is a cuddle ball and I thank God for this precious child and his love. I saw Tracey's adorable Elephant on Muse and I wished I had an elephant too.. but then I could use what I had. I had these super cute kitties.. hugging, just like a mom would hug her kid. 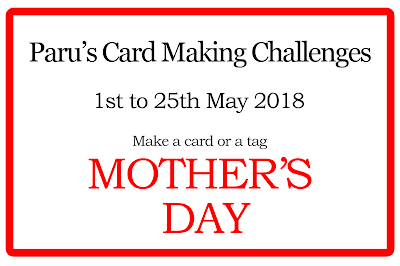 So inspired by the grey of the elephant and the cuteness, I made this card. The Kitties stamp and the sentiment is Comforting hugs from Paper smooches and the rays are from a stencil from Craftyscrappers. 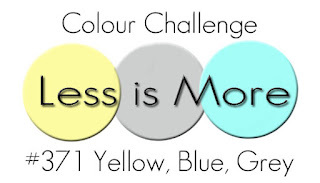 When I thought of using grey (Grey brown) , another challenge popped up in my mind where I knew the challenge has grey - Less is more. As this card was going to be CAS, I thought of adding some yellow for the background. Some interest with stars like Tracey's and my kitties on the soft mounting tape. Here's to all the kids.. who want a big mommy hug! Ishani what an adorable card, I just love the stenciling In the background. So glad that you joined us this week at Muse! Aww, this is such a sweet card. 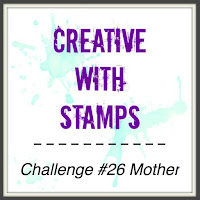 Thank you for joining us at Creative With Stamps May Challenge! 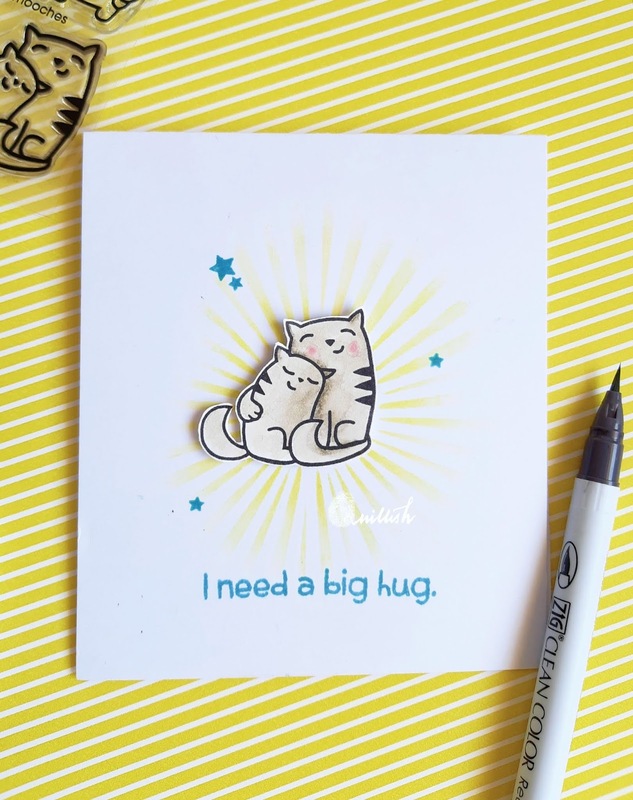 Adorable card, Ishani and a sweet thought for you, missing your mom. I'm glad you have your cuddle-ball son to give you hugs! Love the energy from the yellow rays on this. So glad you joined us at Muse this week! This is such an absolutely sweet little card! I think I did an audible "Awwww" when I saw it! I love how it is so simple, yet so perfect. You colored it perfectly and the rays are lovely in the background. The sentiment, too, made me smile because we all really do need a big hug sometimes! 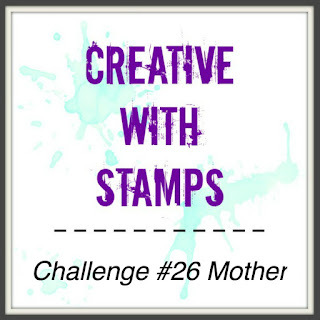 Thank you for sharing such an inspiring piece with us here at the Simon Says Stamp Monday Challenge Blog! I hope this upcoming week brings you more time to craft, too, but it looks to me like you still did amazing things even with limited time!